I am getting ready to make some big changes on the Facebook group I manage for our canyon community. 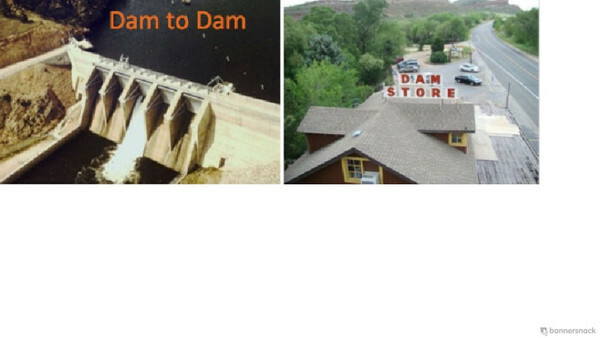 The story behind the new name is the geographical area is from Olympus Dam at the top of the canyon to the Dam Store at the bottom of the canyon. The old name is "We Survived the Flood - Now What?" The purpose of the group is to connect with our neighbors to talk about wildlife sightings, road construction, and other information. It's more about preparedness for disasters than socializing. We avoid using the name of the canyon so we don't get a bunch of tourists finding it in searches and asking to join. I haven't announced the change yet because I want to delete a bunch of members who don't have connections to our community. They were added because the flood recovery construction affected them, but now it's done, they can go back to their own community groups for info. I'm going to delete them, and then change the name so they won't know the new name. Here in Northwest Ohio, our first hard frost of the season just arrived, and autumn is getting a foothold after a very warm September and early October. 85+ degrees in October is bizarre, but likely our climate change normal going forward. The tree leaves are still quite green, just tipped with colors here and there. I still hope for visual delights to come! We haven't went below freezing by more than maybe 2 degrees. Toooooo soon for that! We usually get a hard freeze in September, sometimes as early as the 10th, and then a long Indian summer, but it's so late in the year now I don't think the upcoming warm up will fit our usual definition of it, because we're edging toward winter. I like the Dam Store. Maybe it should be That Dam Store, like This Old House. Your temperature changes sound even more abrupt than what I have here. Been wearing 2 and 3 sweaters inside because I didn't want to turn on the heat right away. And people ask me if I miss the 2 seasons!!! NO!! WE are down into the 80s now--it is Fall and soon we will have 70s. Like the banner--hope the other communities don't find out about the new site but do you really think that won't happen? It won't take them long to figure out the new name, but I don't want to hand it to them on a platter.